Local school nurses raised $1,340 for the nonprofit Children's Clinic at the annual Beach Walk, a 5K event supporting health services for children and their families, who might not otherwise access the care they need. Many of the children who receive services from the Clinic are students in the Long Beach Unified School District. Each year, students, staff and parents from the school district help to raise thousands of dollars for the Clinic by participating in the walk. 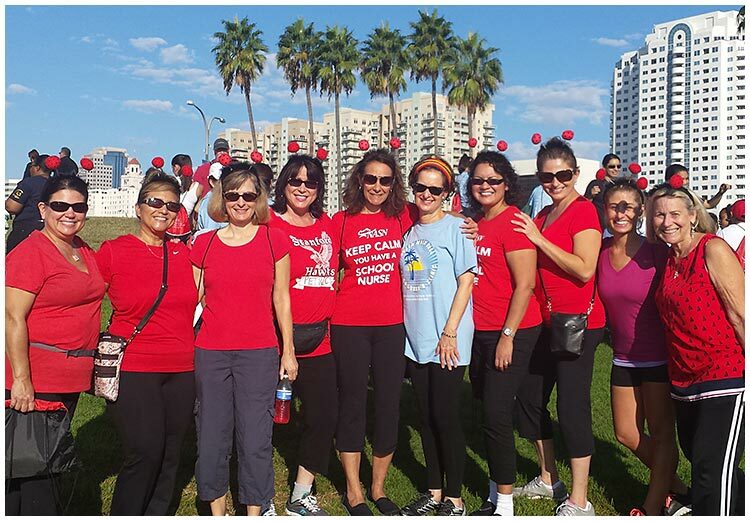 HEALTHCARE – School nurses raised $1,340 for the nonprofit Children's Clinic at the annual Beach Walk. Wearing the light blue shirt in the large image is Dr. Elisa Nicholas, CEO of the Children's Clinic.